We have just created two new charts containing photos of Fruit and Vegetables. Each photo has the name of that fruit/vegetable in English under it. Did you know that many vegetables that are in fact fruit! And we are not just talking about tomatoes (yes, it’s a fruit) but other common “vegetables”. 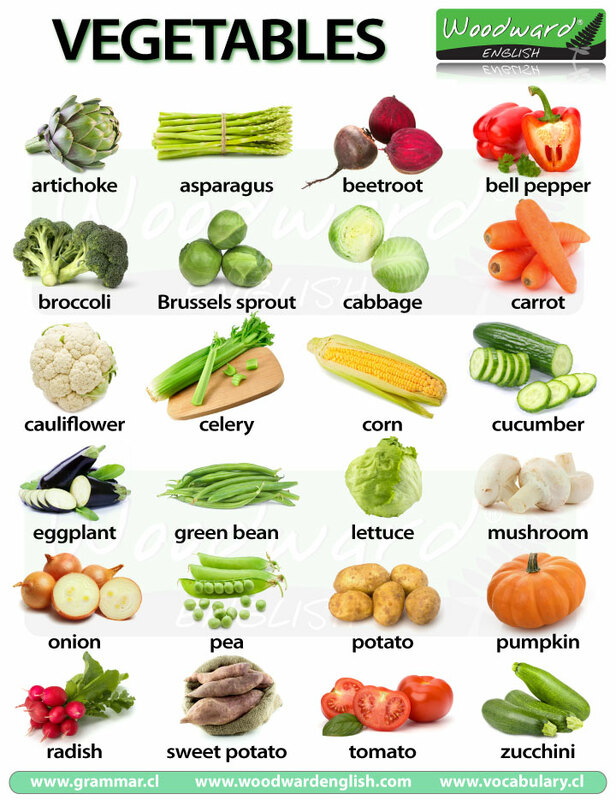 You can find our which ones in the page our Vegetables in English page. We also explain the plural of fruit. Do you know what it is? Is it fruit or fruits? Game about Vegetables in English. In this game there is a chart with photos of different vegetables and you have to choose the correct name for each one. Game about Fruit in English. 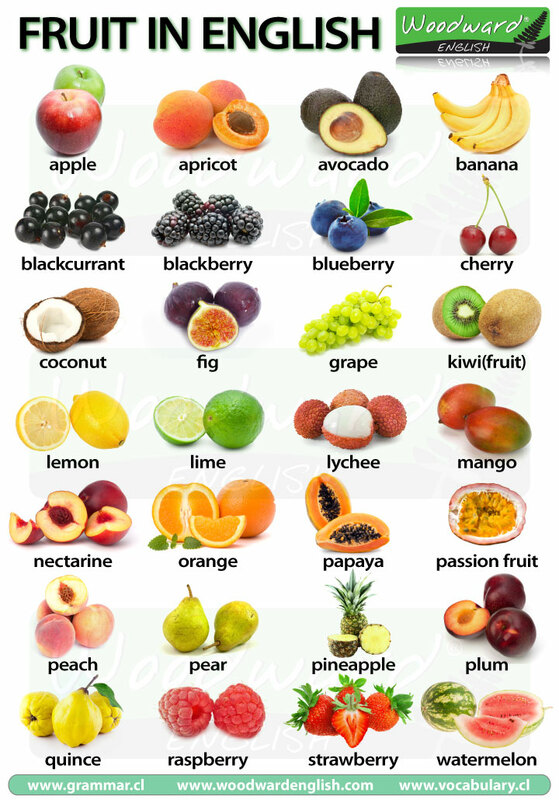 Also a chart with photos of fruit where you need to choose the name of each one. We also have a Hangman Game about Fruit and Vegetables … great for your spelling! Are there any vegetables that you don’t like?